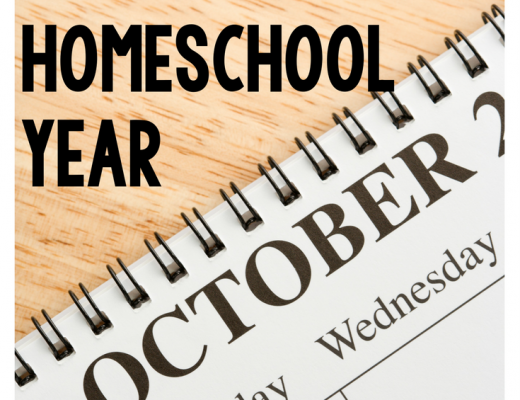 When I was first blessed with the opportunity to be a stay-at-home mom I was overjoyed. I soaked up all of the snuggles, hugs, “conversations,” and time with my boys. However, as my firstborn got older, and I came out of the fog of having a newborn, I craved more structure. Perhaps it’s the teacher in me, but I wanted to start implementing a regular routine in our day. 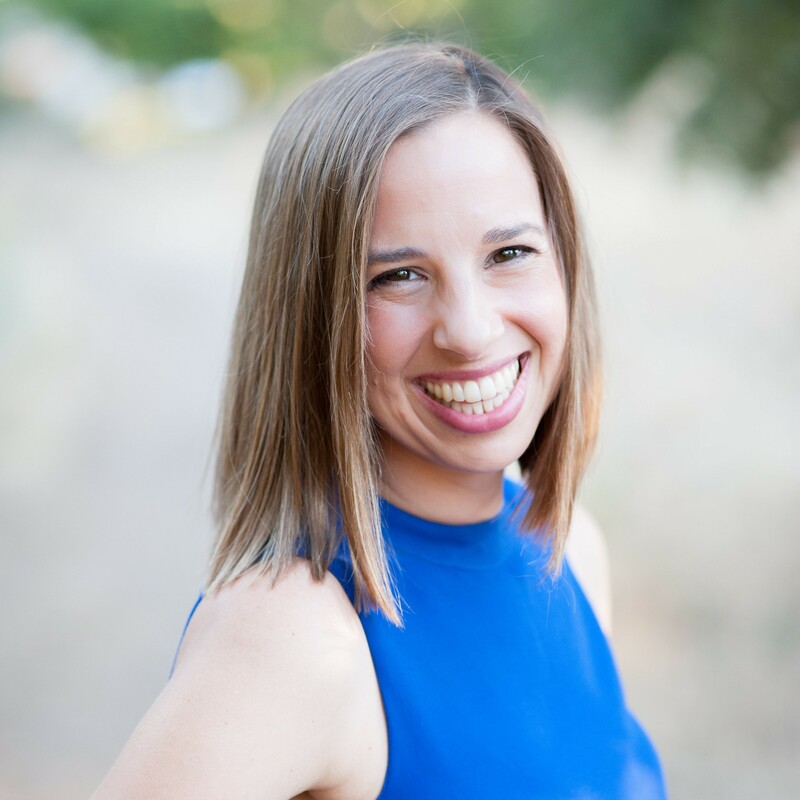 I still loved just getting to spend each day with them, but I knew I wanted to begin working more intentionally with my oldest and create a daily routine that would work for us all. So, our homeschool preschool was born. My husband is a teacher, so when he headed back to school, we started up as well! At the time, my oldest was not yet 3 and my youngest wasn’t even a year, so our preschool was very basic. Lots of play, exploration, and using our imaginations. But for about an hour every day, we tried to work more specifically on skills that I felt were important for him to learn. We always began our day by reading from The Beginner’s Bible and singing a verse song or two. (I highly recommend Steve Green and Seeds Family Worship if you’re looking for some) Then we moved into our alphabet work. For simplicity’s sake, we started with a letter a week. I know there are so many different opinions about the order in which to do the letters – but again, keeping things simple – we just went in alphabetical order. 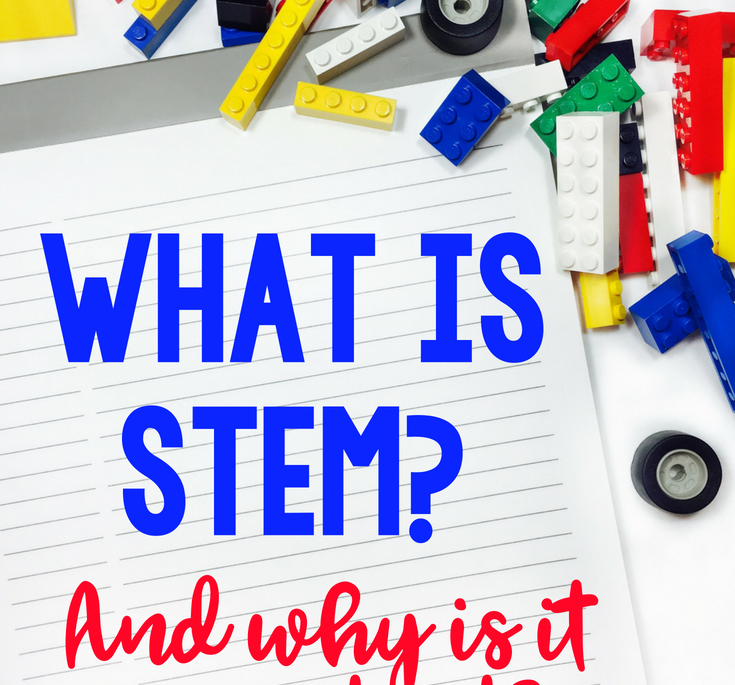 There were some foundational skills I wanted to work on with my son, but I didn’t want to be searching for, printing, and preparing a new activity everyday. So, during the summer (before we officially started our homeschool preschool), I created packets of activities that would set me up for success. 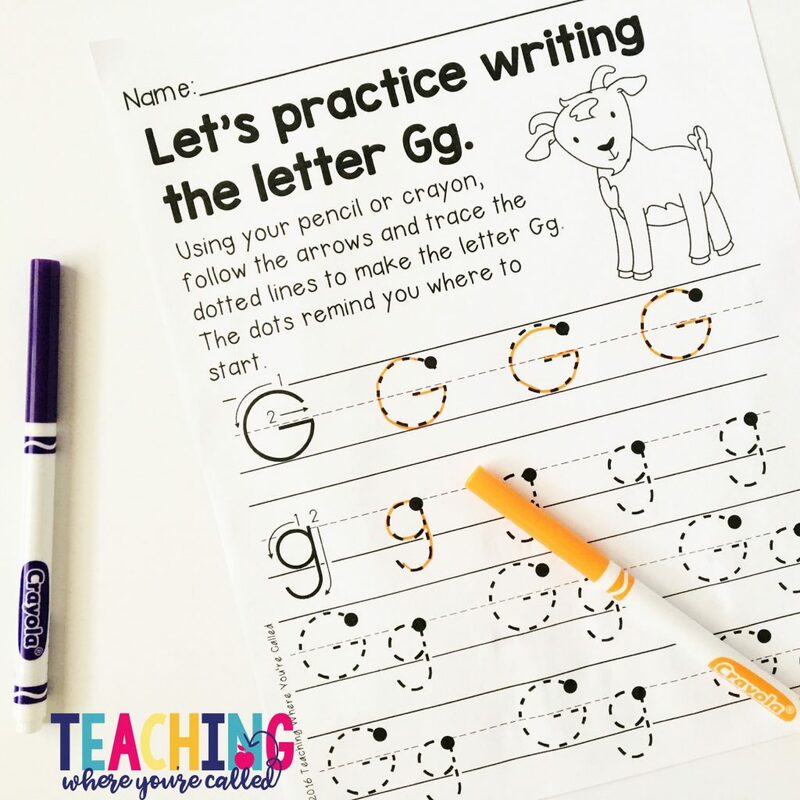 The purpose of these activities were to help my little guys begin to recognize and write their letters, to work on distinguishing between capital and lowercase letters, and to introduce them to the sound that each letter made. 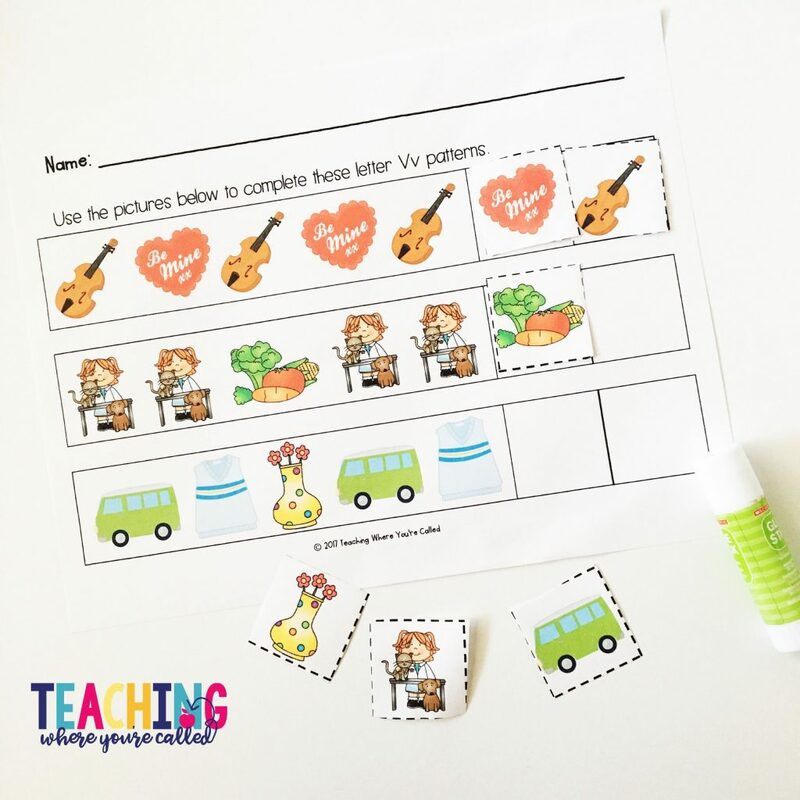 I also wanted to include activities that allowed them to practice counting objects, begin learning basic patterning skills, and even be introduced to the wonders of science. 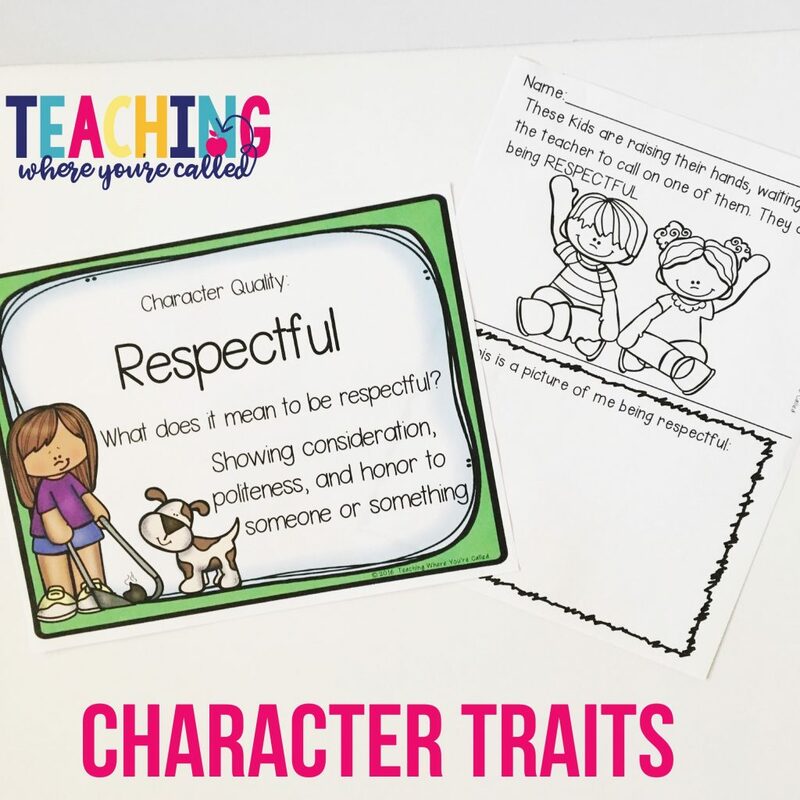 I’m a huge fan of reading to your kids, so I also looked for books that included ideas or characters related to the letter. And since kids always love a good snack, I brainstormed ideas for letter of the week snack ideas. The beauty of the activity packets was that once I had made them, I was set. I didn’t have a lot of prep work during the week because we focused a lot on play, and when we were all ready to have a little more focused time, the activities were already ready to go. I just printed the pages I wanted for the week on Sunday evening, and I truly had the rest of the time to focus on my kiddos. These packets gave me a focus for the week. And since I already had these ready to go, I could be as creative (or not so creative) as I wanted – or as the week allowed. 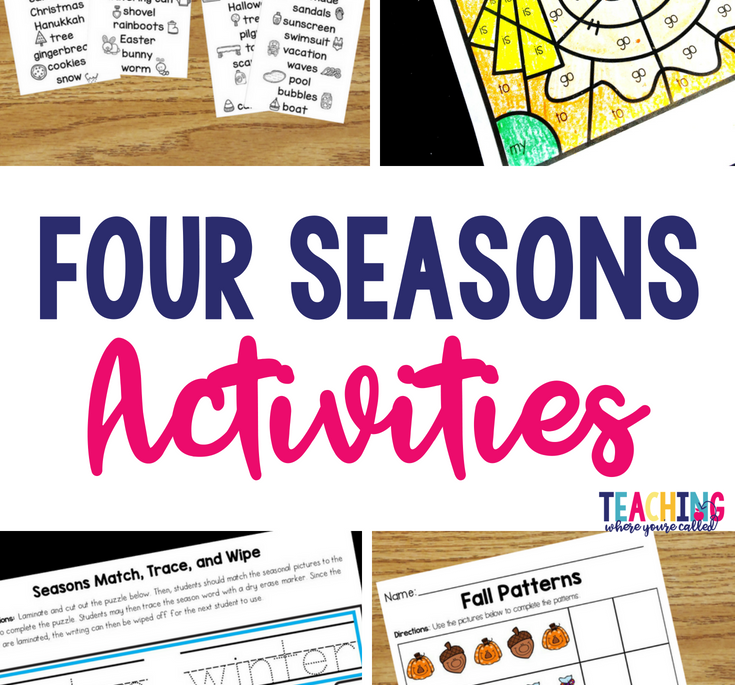 Baking, crafts, gross motor activities, field trips, art projects, games, the list goes on and on. But I actually had time to think about what those other activities could be because my letter work was taken care of. And I have to say, I absolutely fell in love with homeschool preschool. I loved being able to watch my kids learn and grow. I loved seeing them get excited about learning. I adored getting to instill values that were important to our family. But I also loved the fact that we could move at our own pace. If we needed a break, we took a break and went outside. If someone was sick, we took the day off. If a task was a little too advanced, we waited until he was ready. We weren’t confined to a strict time schedule. It definitely brought some much needed structure to our day, but these boys still had PLENTY of time to play and we still had a lot of flexibility. 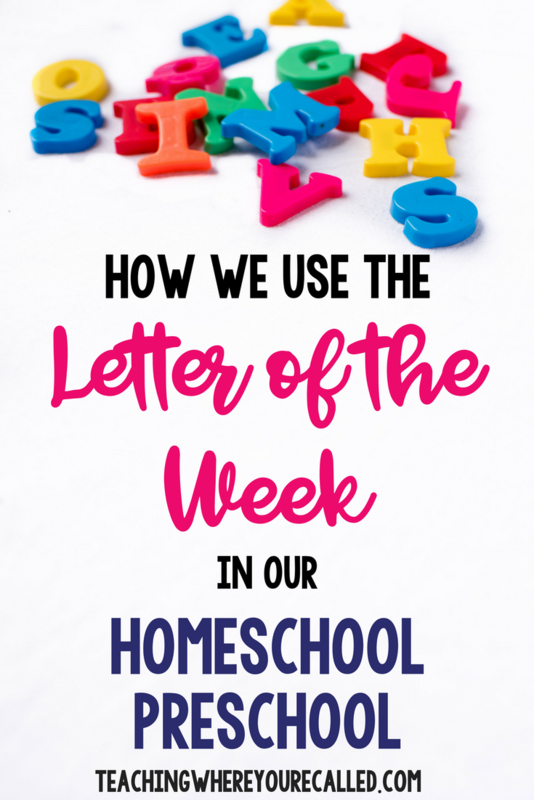 And what I loved even more – I used these letter of the week packets 2 years in a row for my oldest. During the first year, when he was 2 and turning 3, we just worked on recognizing letters. We talked about each letter’s sound, but I definitely didn’t expect him to master it. I showed him the capital and lowercase version of the letter of the week, but if he was able to recognize any form of the letter during the week, I was thrilled and we celebrated. We worked on counting objects, but I didn’t require him to form numbers correctly or even consistently match a group of objects to the number in written form. Then, the next year, we went through the alphabet again, but this time we focused on different skills. We moved on from just recognizing the letter to being able to write (or trace it). I started to emphasize the sound that the letter makes and we worked on finding objects that began with that sound. 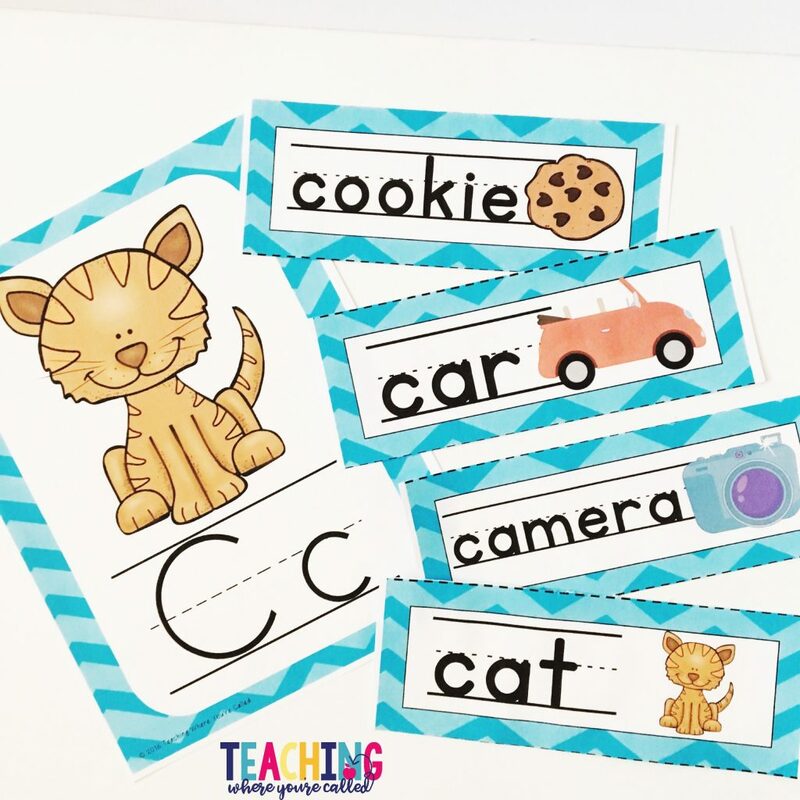 He started to recognize the difference between capital and lowercase letters, and he started being able to count a group of objects and point to the number that represented the number of items. Sometimes we repeated the pages we had used the year prior (mostly because he had enjoyed them so much), but we also used pages that were just too advance the year before. By the time that year was over, he knew all of his letters and could identify each letter’s sound accurately. His fine motor skills (writing with a pencil/pen as well as beginning scissor skills) had improved dramatically. 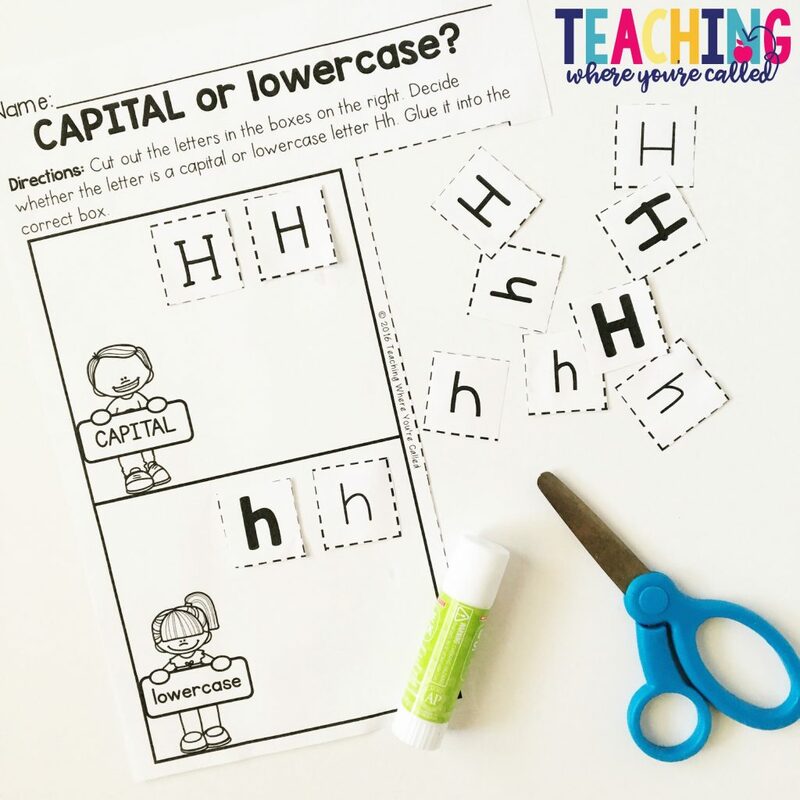 For the majority of the letters, he could recognize, write, and differentiate between capital and lowercase. 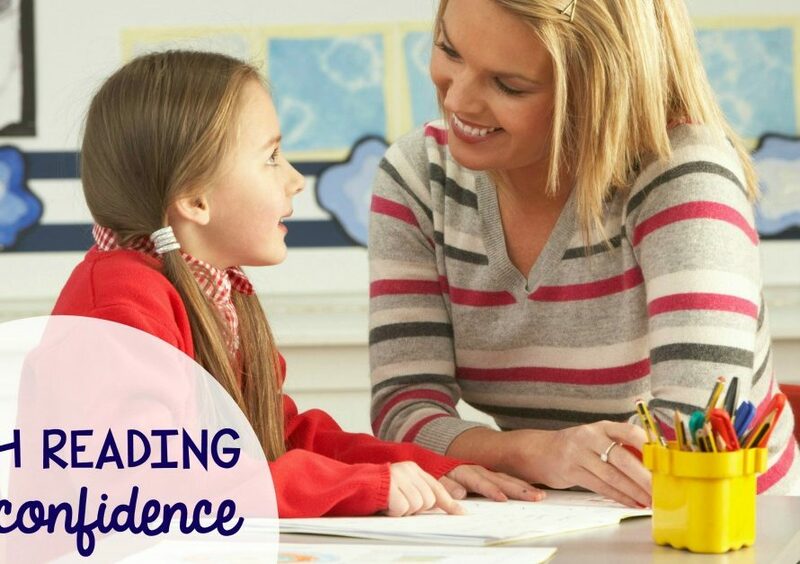 He recognized numbers 1-10 and was proficient in one-to-one correspondence for these numbers. He recognized different types of patterns and was able to continue them. However, most importantly, he was excited about learning. He felt confident whenever we talked about school. And he was eager for more. 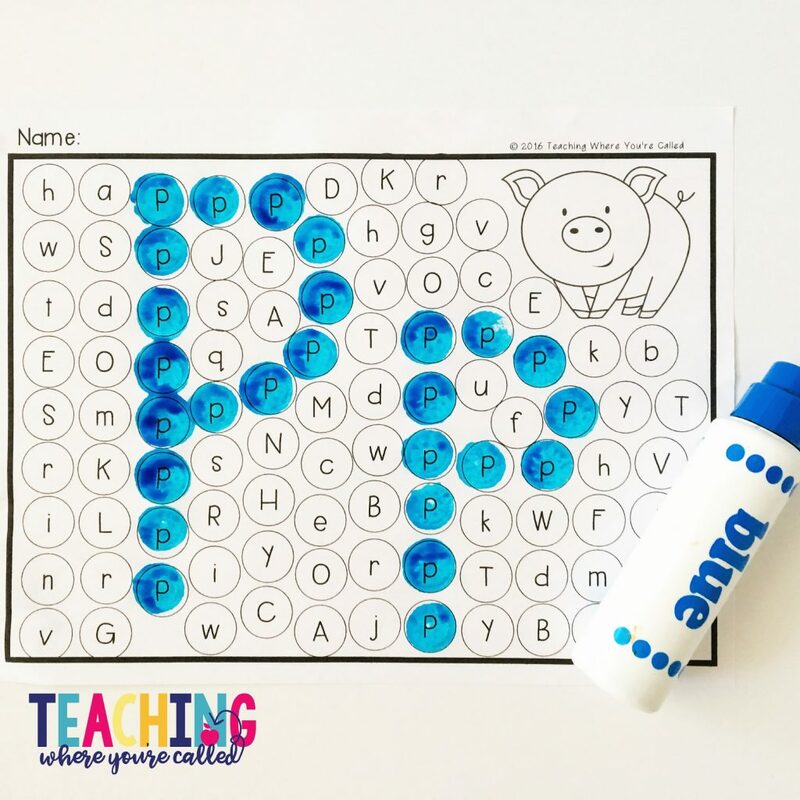 The next year, my oldest was 4 going on 5, and so we moved beyond simply working with a letter a week; however, by this point, my second son was now two going on three, and I already had all of the materials I needed to start working with him. 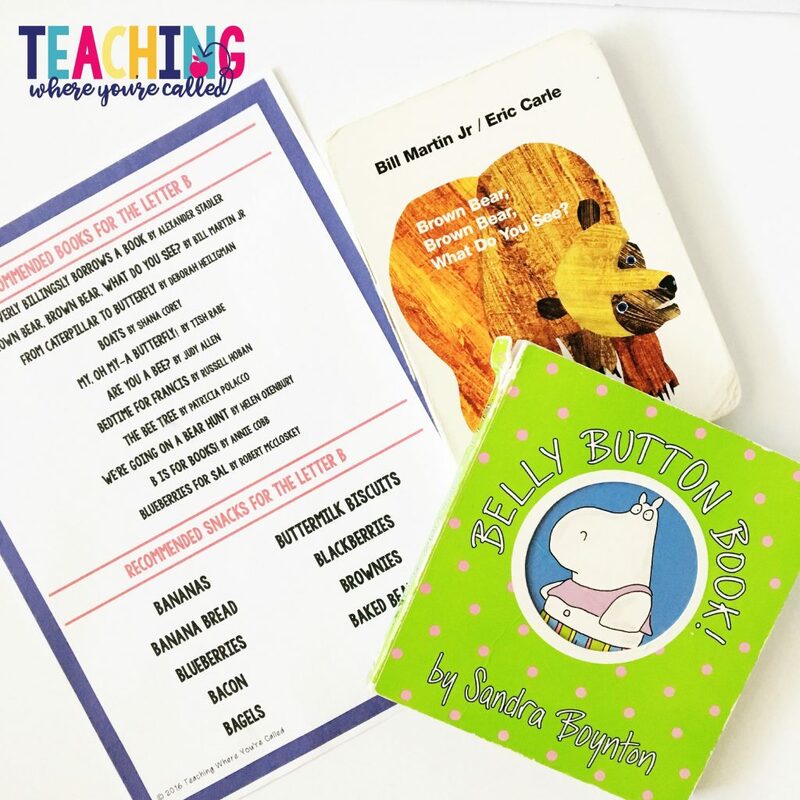 And that’s part of the beauty of these digital resources – you can print and re-print pages as often as you like for your kids or class. No need to go out and purchase additional copies! You are set! 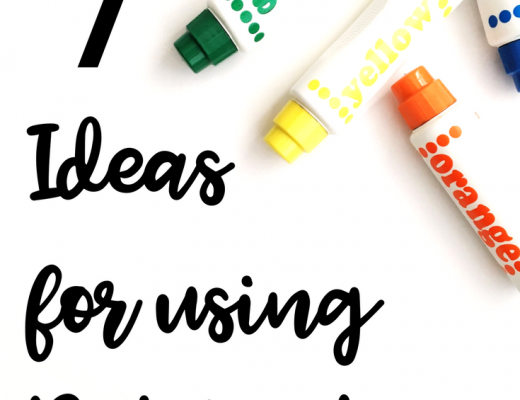 I can’t tell you how much I have enjoyed using these resources with my boys – and then with the homeschool co-op that we are a part of. Can’t wait to see how you use these! 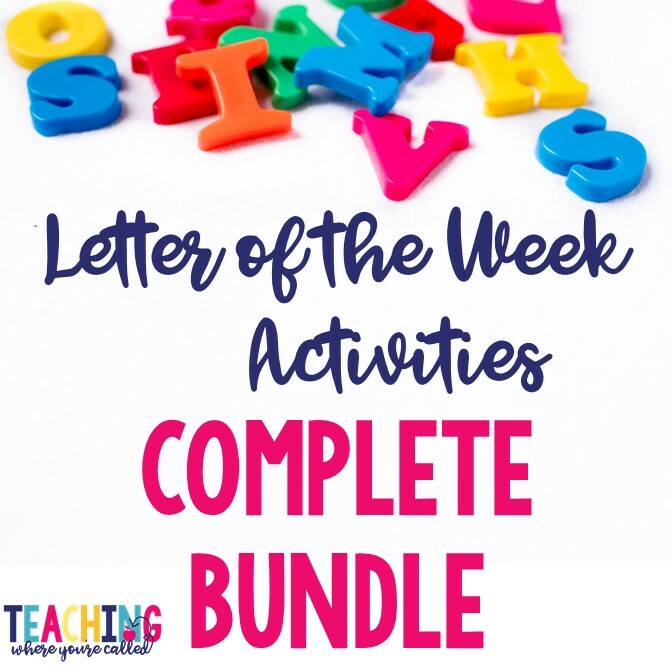 And if you’re ready to grab the complete Letter of the Week Bundle, you can grab it HERE.